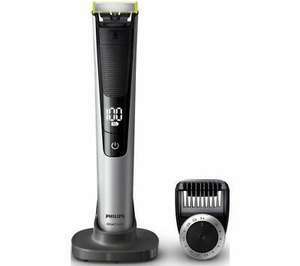 PHILIPS OneBlade Pro QP6520/25 Wet & Dry Trimmer - Silver & Black - £54.99 Currys ebay Limited quantity remaining. Currys PC World. You can even choose to use it wet or dry and with or without foam to suit your preference. This excludes the Channel Islands and BFPO. Colour: Black & silver. - Follows the contours of your face for an effective and comfortable trim. If you order as a guest, at the end of the order, you get the option to create an account and if you do, you get a 15% discount code.